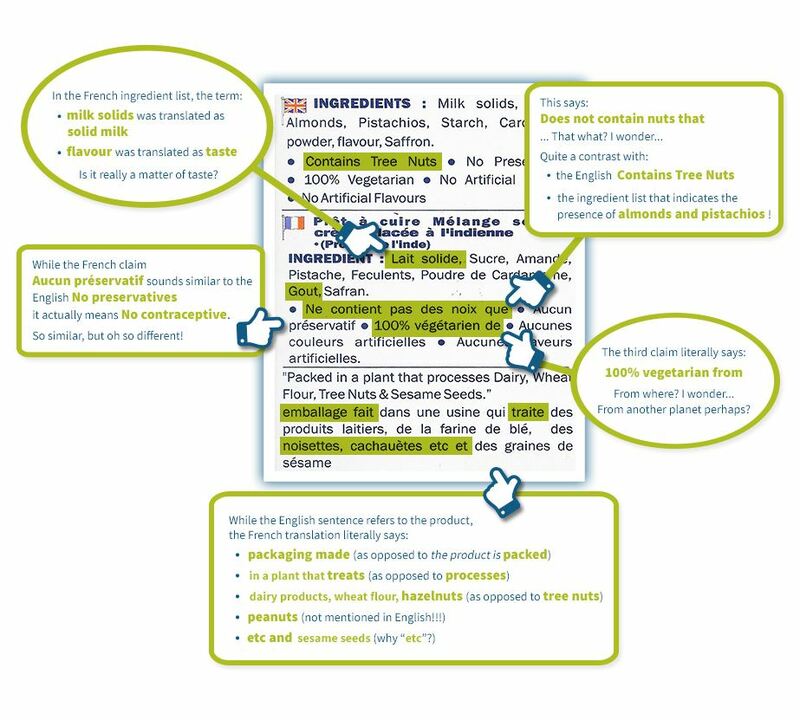 Food labelling services: Translation and Review | ACC Label Inc.
Scroll down to see “translation bloopers”. 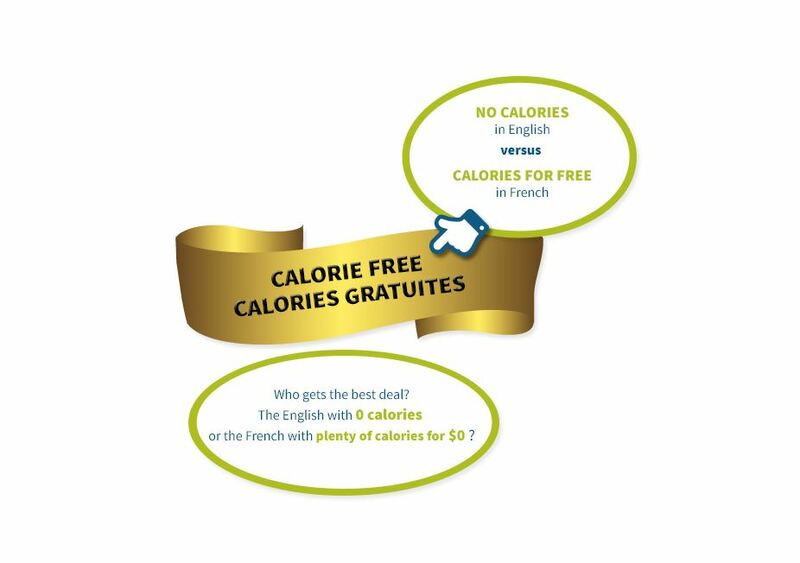 The Quebec Charter of the French Language is a piece of legislation that greatly preoccupies food businesses seeking to sell their products in the province of Quebec. With respect to food labelling, ACC Label masters the requirements of the Charter and its statutory regulation, i.e. the Regulation Respecting the Language of Commerce and Business. We can therefore advise our clients accordingly. Text Editing: an Added Value! 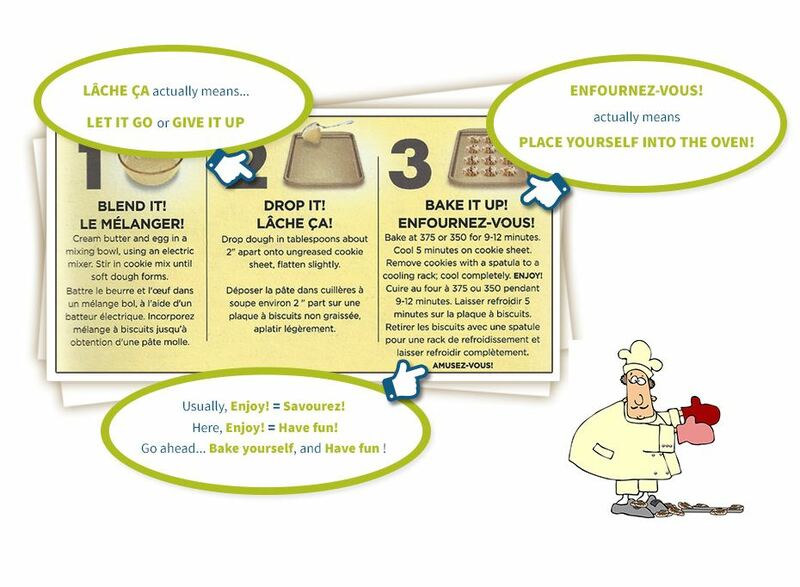 A business’s corporate image may be tarnished by poorly written copy. 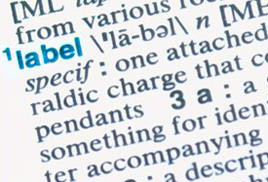 Concerned for its clients’ reputation, ACC Label offers linguistic review as a complement to the regulatory analysis service. We verify spelling and grammar, and when appropriate, we correct syntax and style to improve the product and corporate images conveyed to the consumer or wholesale purchaser. ACC Label’s team masters French and English with eloquence. 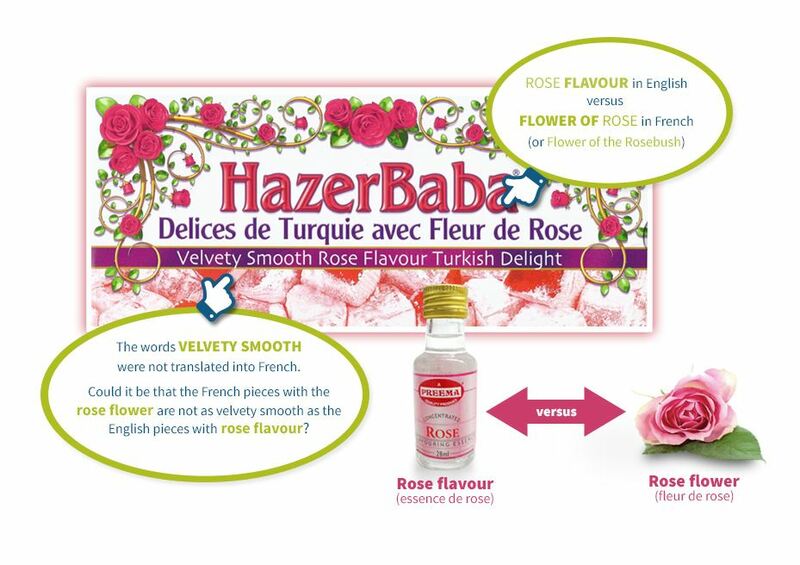 In response to our clients’ needs, we translate labelling material from English to French or from French to English, and take great pride in the linguistic quality. Our writing style reflects our attention to detail, and the quality of our work in general. Well aware of the negative impact linguistic errors may have on the consumers’ and the wholesale buyers’ perception of a product and the manufacturing company, we treat our clients’ projects as our own, and pay great attention to spelling, grammar, syntax and style. inadvertently render non-compliant a text which was initially compliant. ACC Label’s linguistic expertise, along with our extensive regulatory and nutrition knowledge, makes us unique and valuable to our clientele. Beyond spelling mistakes, grammatical errors, and poor syntax, using the wrong wording can project a negative image. Facing poorly labelled products, consumers may perceive the goods to be of lower quality, and project this impression to the manufacturing company, and the retail store in general. 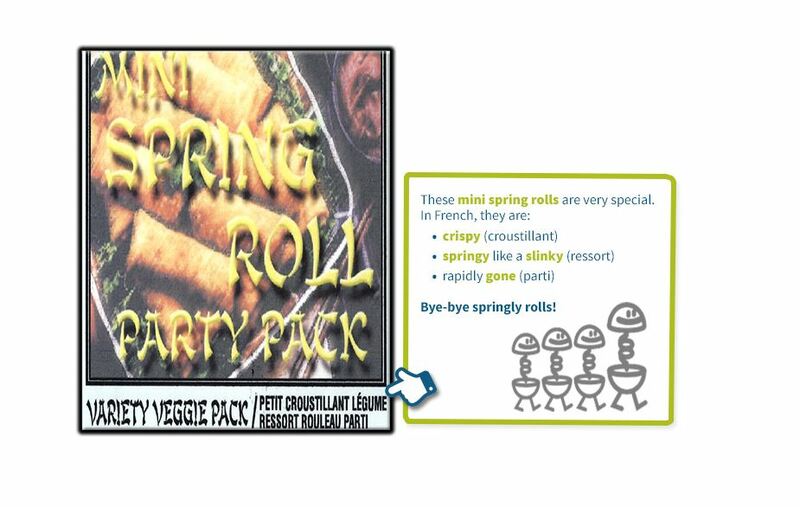 The translation bloopers presented below reflect real translation errors found on food labels. Some of them are actually quite common. They are funny in a way, but wholesale buyers do not want to be associate with these translation horrors. Would you?